Breakers are a crucial component to the electrical system that protects homes and business against electric shock, burns, and fires. Breakers are design to trip if they detect an arc or too much amperage. 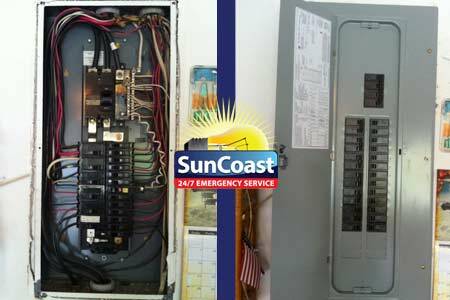 SunCoast Electric and Air has 22 years of testing and replacing breakers that are damaged. With age, breakers collect dust, dirt, corrosion, rust, and ants that slow or hinder the tripping process. 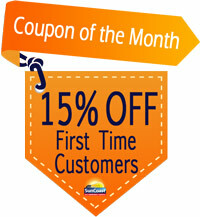 After 15 years, breakers should be changed out of your electric panel to insure safe and proper working order. There are certain breakers that do not trip at all after 25 years which leads to home fires and hazardous conditions. 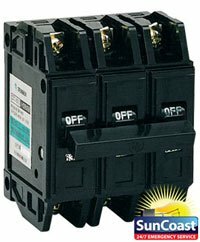 The rule of thumb is “If the breakers are not all black then they need to be replaced! 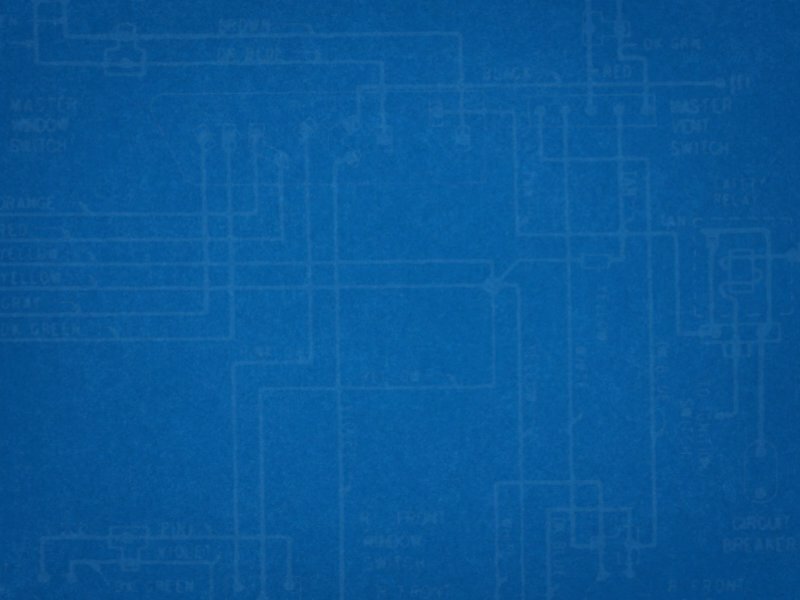 Did you know that your Breaker connects to the busbar, which is the spinal column of the electric circuit? With age and use the busbar begins to heats up from friction. When we were young we learned that rubbing our hands together creates friction which is a form of heat. This same friction within your breaker will create heat which will expand metal overtime. When the circuit does not have a load, it cools down and shrinks. After 15 years of expanding and shrinking the busbar changes shape and spreads the breaker attachment part which creates a gap. This gap starts arcing over time which will worsen until it inevitable failure occurs. This is why breaker panels should be replaced with all new breakers. Want more information and tips? 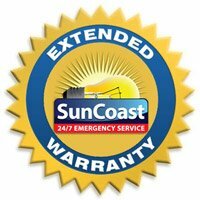 24/7 IMMEDIATE Emergency Service Available in Miami, Broward, & Palm Beach County!